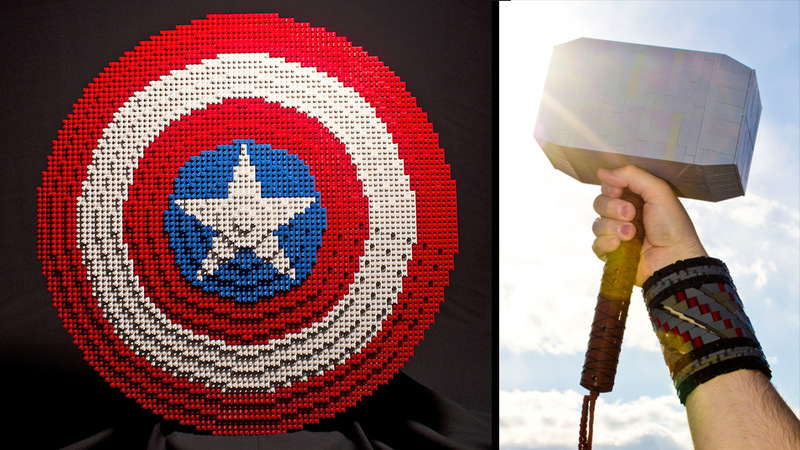 Nerdgasm Alert: Full-Size Lego Avengers Props! Ken Robichaud has created these awesome, full-sized The Avengers props in Lego: Thor's Mjölnir, Captain America's shield, Hawkeye's bow and arrows and the Black Widow's thingamajigs. They are perfectly made. The arch even bends like the real thing! (nerdy scream).